Surprisingly, almost every content writers were accidentally linking them to the job of writing. Interest in writing is the main reason for this. Their desire to establish themselves as a notable writer and to get a job makes them driven towards this best employment. But the reality in content writing is somehow far apart from this. Content writing may seem to be less creative in the way of presenting authentic information to the targeted audience. This misconception makes the job boring and apathetic. A powerful and creative mind can make you flourished in the new age of content writing. Amazing employment opportunities are waiting for budding content writers. This highly demanding and competitive job can make fortune out of this profession. As the name suggests, the tasks of content writer include writing the content for almost anything and everything like websites, blog, classifieds, emails, brochures etc. A particular degree or any other specific qualification cannot define the actual requirement for content writing. Mastering English literature can always be a plus for this profession. But anyone with a sound talent in writing can choose this good job opportunity. The only thing you should do is to brush up your language. Along with writing skills, a good skill for researching is also needed since you may have to write on new topics which you may not have heard before. I am a post graduate in Commerce and have also secured a professional diploma in software engineering. And I have done many jobs in different streams. I had a hobby of writing something new and creative that was the thrive to direct me towards the passion for becoming a content writer. And I never distrusted my academic qualification. I believe that any knowledge has something to do with my writing. And I joined in an esteemed organisation as a content writer. For a few days, I was really stressed out with not having anything to be creative to write about. I was assigned the task of writing blogs and I felt like finishing my assignments and nothing else. Then I felt the need for being unique in the world of writing and started to learn new ideas in content writing and that made me more creative and an appealing writer. Only if we are passionate about a job can make us to give the perfect result. Content writing is not an academic discipline. We have to learn it from many sources and our success depends on how capable we are to refresh our language skills. The information age is taking over the world, and this is remarked by a constantly growing reliance on the Internet for almost everything, right from fulfilling personal needs to planning for a future venture. The Web is a stunning resource for information-seekers and generally extraordinary, Have you ever thought of the source of all these? Content writing as a profession has an immense scope. Many renowned brands are overseeing to earn a substantial amount of money by their highly efficient and productive content, which serves their potential audience. Enlightening and responsive contents can always appealing to the mass audience. SEO Writing : SEO stands for Search engine optimisation. Content writers are required to follow SEO for quality content. The quality of a content is defined by the grammatical accuracy and use of keywords. A keyword is the main concern of SEO. BY including many keywords as possible can make our content rated high with the search engines. A content is said to be unique if it is 100% free from plagiarism. This includes writing blogs and website content. Creating Social media content : Content writers are employed to be part of the social media optimization team to promote the online presence of the company on popular social media platforms like Facebook, Twitter, etc. Social media is the place where everyone get easily connected and this new age of technology engages people online every minute. The best way to address us is in any platform like Facebook. Companies recruit professional writers who are well versed in writing appealing content that can attract more visitors. Social media content includes the status updates in the media and creating content for images and infographics. Writing different blogs : Creativity and command over language can make you good in blog writing. As a blog writer, you may be working like an employee or a freelancer. As an employee, you have to write blogs on behalf of the company. Blogs are posted on a daily or weekly basis and it should be done continuously to make the website active. E-commerce and Social marketing : A content writer is entitled with the task of preparing promotional content for the company’s products and services. Advertisements and sales promotions are done for getting more demand for the service or product offered. It may be done in any of the platform available for the company. Proofreading or editing : You can step into the task of proofreading if you have good command over the language and good at editing grammatical mistakes. A basic knowledge of the industry is also needed to do the same. Editors are entrusted with the task of checking whether the content has met the quality standards. Content writing has significant potential. If you are in seek for a knowledge-intensive profession that needs creativity, content writing will be one of the better options for you. Many writers don’t take this career seriously and waste their precious time completing targets like meeting word counts. If you are serious about your profession, never use this pattern of writing. Do not copy from others sources as you may be caught and even get terminated. Work in your own creative way and become an expert writer. In the long run, it will aid you in different ways. Irrespective of changes in the economy and particular industry, your career will always upsurge if you are an expert writer. There are many ways to find a good job for your new career profile in content writing. I would suggest you INICIO job APP. INICIO provides you with a variety of best jobs from the available vacancies of the most reliable sources. If you have good writing and communication skills, choose a career in content writing and reach up to different people all around the world with your fabulous content writing @ inicio.in and get the top career options. 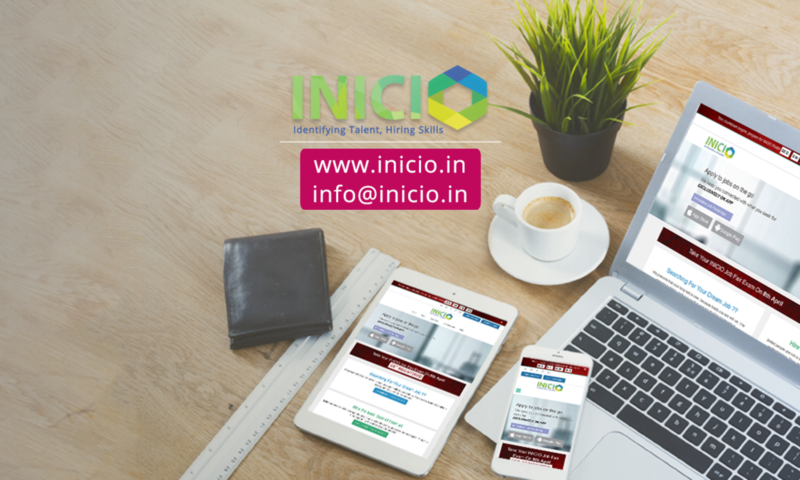 To register with INICIO, first of all, the candidate has to pay a nominal amount as the subscription fee for INICIO Job App. INICIO App is available at online mobile applications stores like play store and app store. It is supported by android and ios. Then the candidate should attend INICIO Job App Test. The candidate is given with a facility to take an online job fair or an aptitude test from anywhere through INICIO Job App. Easily submit the test score with employers through your profile. The test score will be forwarded to the employers. Employers choose the candidates with good scores among the test attended candidates. The test is regarded to be the first stage of scrutiny.